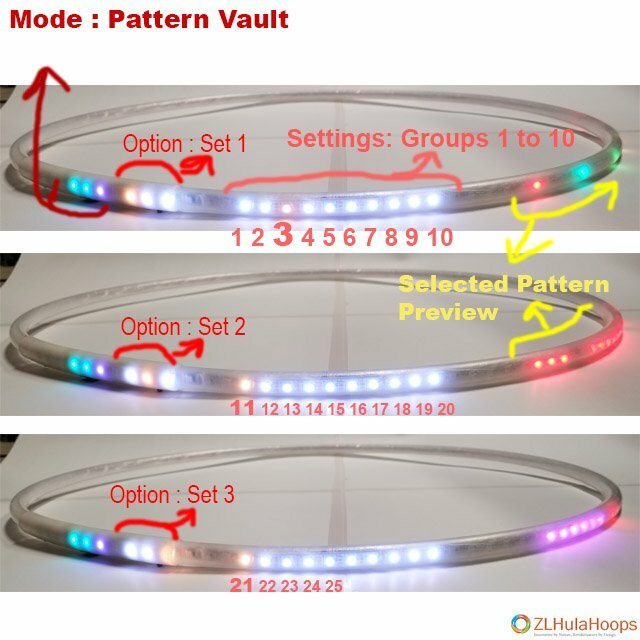 The Pattern Vault Mode allows you to select a pattern group. Each Pattern Group contains multiple patterns. To make it easier to select the group it is split into 3 Options or Sets.